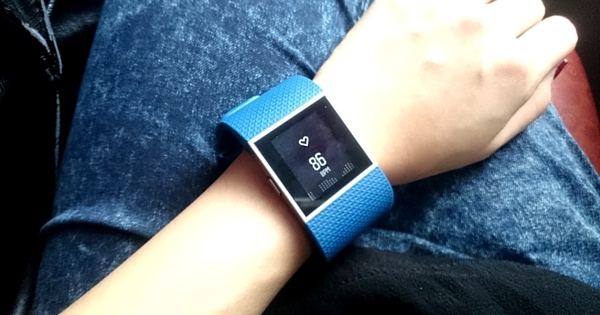 If you are someone who finds it hard to keep track of your exercise regime on the go like me, then Fitbit’s multi-sport “super watch” – the Fitbit Surge – is the perfect fitness buddy you will want to have on the go and pack along on your trips. Whether it is jogging along the street from your hotel or going on a hike to see that beautiful sunrise, Fitbit Surge will track all the movement and details you could possibly imagine, from the moment you strap it on. Boasting a 24/7 heart rate monitor, alongside an advanced daily activity tracking and GPS system, the Fitbit Surge tracks basic metrics such as heart rate, distance travelled, calories burned, etc. 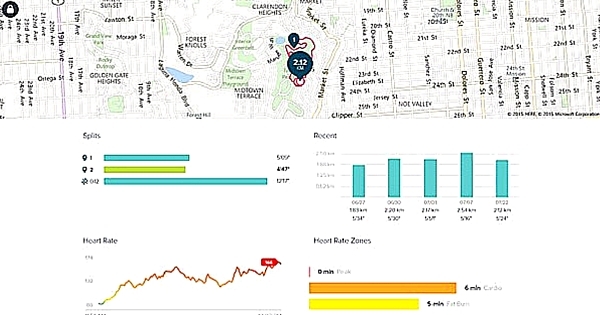 It tracks details such as pace and elevation and can even map out your entire run on Google Maps! Monitor your daily activity goals (for example, cover x distance in x amount of time or take x number of steps in a day), even when you’re on your holiday or business trip! Adjust your pace accordingly during the activity or through the day, regardless of the familiarity with terrain or varying weather conditions in a foreign land. Easily keep a close track of your progress over time, in terms of both quantity and quality. Review and better gauge your fitness improvement over time. Another amazing feature of the Fitbit Surge that I personally love is its sleep quality tracking. While it may not provide the most in-depth data on sleep quality, the basic metrics of time asleep, restlessness and time awake give me a good idea of how much undisturbed sleep I am getting (and a legit reason to indulge in a guilt-free afternoon nap to make up for poor quality sleep). Plus, I am absolutely in love with its silent alarm function – the vibration makes it feel like someone is nudging you awake – beats waking up to the scream of my alarm any time. And as if all the above don’t already make the Fitbit Surge a super watch, it ups itself with functions of text notifications, caller ID and music control, to make exercising on the go even more convenient and hands-free! Remember to check against the list of supported devices to see if your phone is compatible with these smart functions. Note: If you don’t feel the need to keep track of your messages and calls while exercising, you can consider the Fitbit Charge HR, which is of equal standing with the Fitbit Surge in terms of performance and fitness tracking, just without the push notifications. To top it all off, Fitbit Surge’s battery can last up to a whopping 7 days, and takes only a short 1-2 hours to charge up. The Fitbit Surge comes in three colours – Black, Blue, and Tangerine, as well as three different sizes – S, L and XL (XL are only available online). To ensure the best fit before purchasing, check your wrist measurement against the sizing chart. 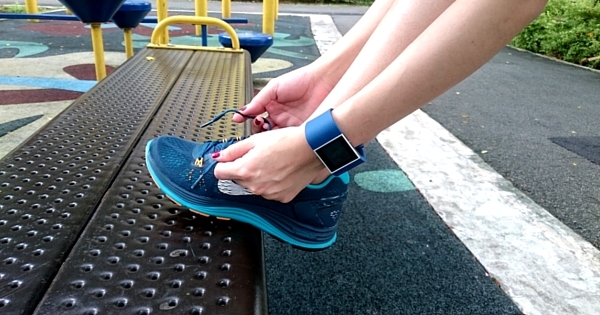 A Fitbit Surge is available at S$329 and can be purchased online or at major retailers like Best Denki and Challenger. While I would have preferred it less bulky, along with more explanation on how I can interpret the data of my fitness level, Fitbit Surge’s powerful hands-off tracking and GPS system has certainly proved its potential to live up to its name of a fitness “super watch”. In fact, it feels like a mini diary that logs your fitness journey around the globe! This giveaway ends 2359, 30th Nov 2015. 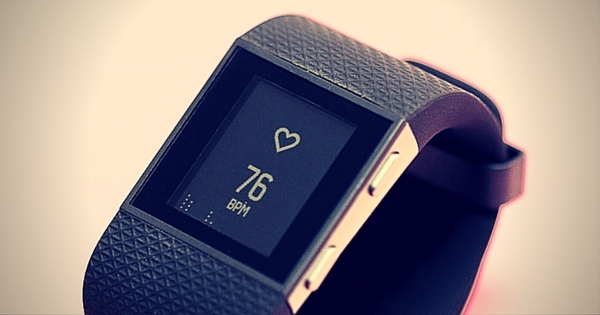 The winner of the Fitbit Surge will be announced then. This review is contributed by guest writer, Jody Lim.